2013 was, as most years are, a very interesting year. Still, when I look back, I'd say the dominant theme was that The 14 Fibs of Gregory K. finally became a book. And for that I say, "Thanks, 2013!" Wishing you all a happy, healthy New Year's Eve tonight and in years to come! I'd never put utinsels out upon the dinner table. 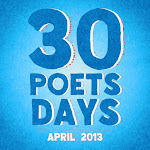 And since it's Poetry Friday, you can check out this week's roundup over at Buffy's Blog. 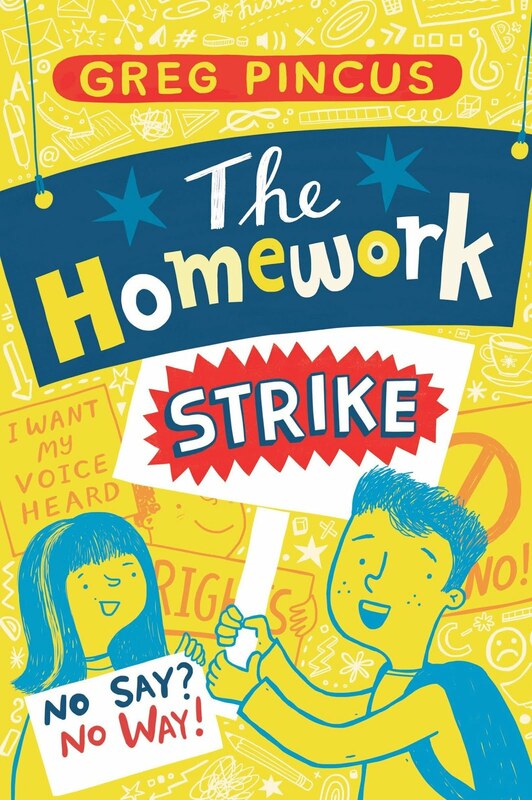 When you do, you'll actually find a link to more of meeeeee, because there's an interview with me over at the Teaching Author's site today. And a poem. 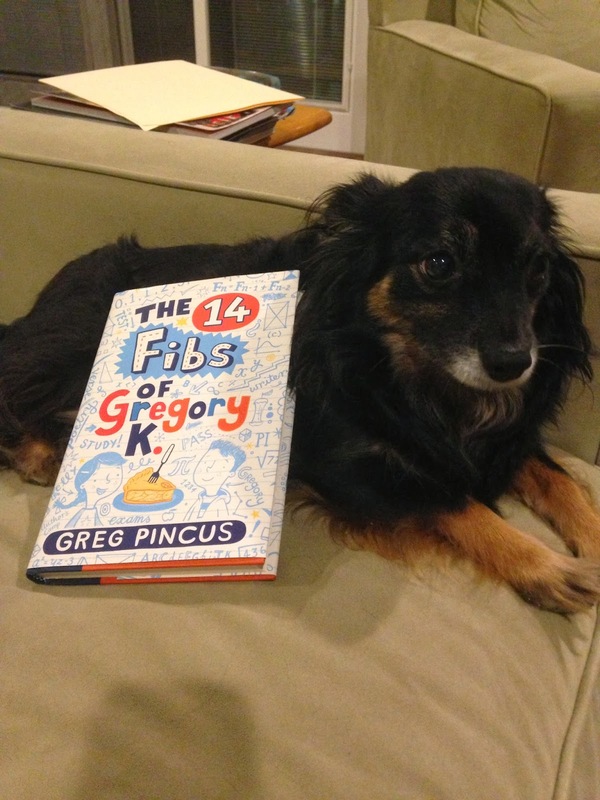 AND... a giveaway of The 14 Fibs of Gregory K.! So, like... go! By the way, if you want to get all the poems from here at GottaBook emailed to you for freeee as they hit the blog, enter your email address in the box below then click subscribe! I was lucky enough to be asked to write a guest post at Cynthia Leitich Smith's Cynsations blog... and it appeared just yesterday. In it, I talk about the journey to publication with The 14 Fibs of Gregory K. and talk about marketing, too. I'm biased, but I think it's pretty good stuff. AND... on top of that, if you click over there, you can see the only known photo of my desk, complete with a dog! I hope you go check it out. Pie! Pie! My word, I love pie. I've loved it since birth, and I will 'til I die. (To date I've not seen one that I wouldn't try). Dutch apple and chocolate cream both make me cry. Blueberry, rhubarb, or pecan? I sigh. A slice is a gift that I just can't deny. 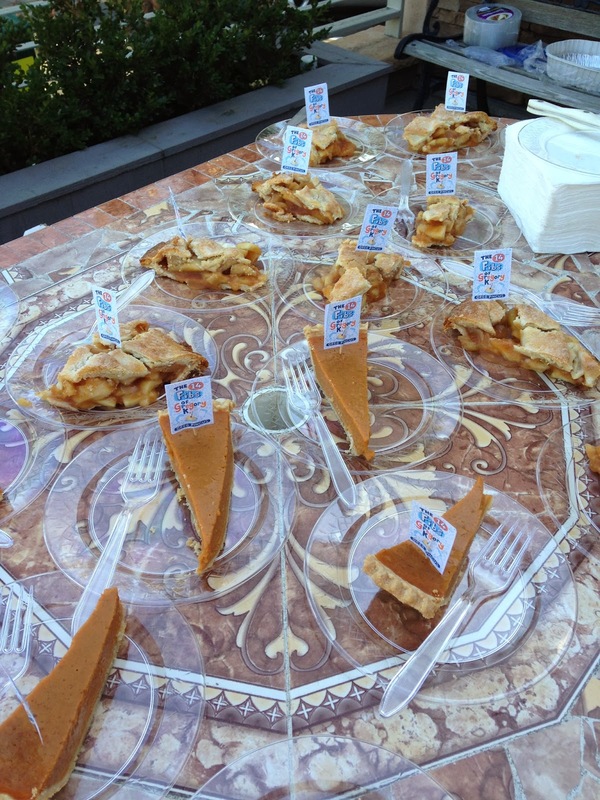 A full pie is better, of course. I can't lie! "Here's to the best food of all! 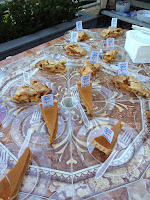 Here's to pie!" 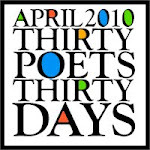 While pie is a big part of The 14 Fibs of Gregory K., the opening lines of this poem predate the first draft of the book, perhaps proving that old adage "write what you know." I took another crack at some office unpacking/cleaning over the long weekend. My office is functional yet not fully put together after the move last year, ya see, and... well... I'd like to fix that. 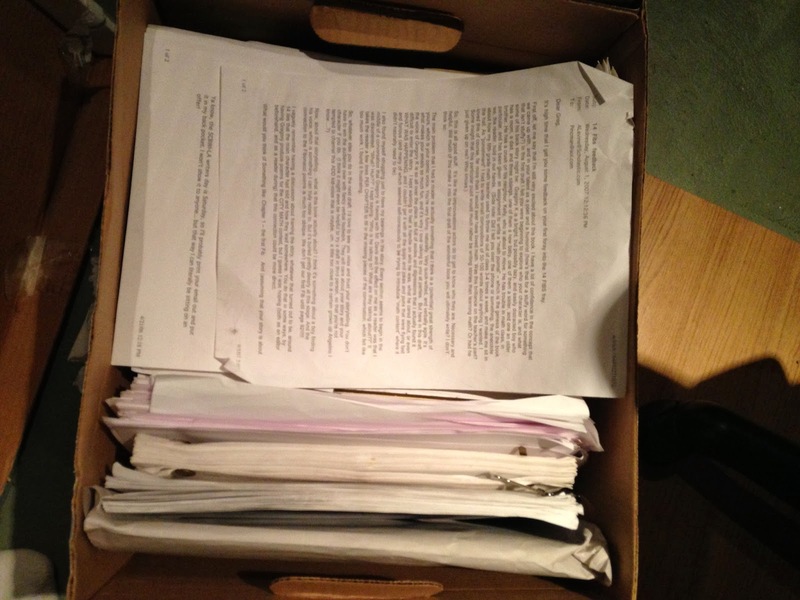 Anyway, one of the things I did was put all the various drafts and notes of The 14 Fibs of Gregory K. together to be stored somewhere now that the book is out. (Did you know it's out? It is. It makes a great gift, I've heard, and who would lie to me about something like that?). All I can say is... boy did I take a lot of notes! 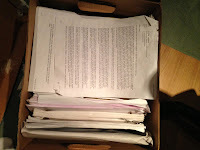 That's a full banker's box of notebooks and printouts and manuscripts from Arthur and others, too. And here I thought I did most everything online! It was fun looking back through it all, but I gotta tell you it's a nice bit of closure to be able to put the notes away.